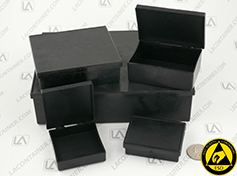 We aren't called esdplasticcontainers.com for nothing. 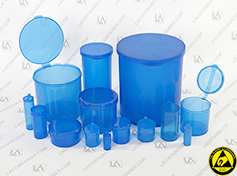 We have an almost impossibly large selection of ESD inhibiting plastic containers, boxes and vials. 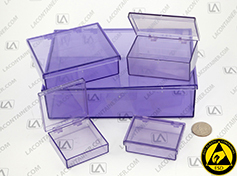 What sets our ESD plastic containers apart from the rest is their size and attached hinged lids. 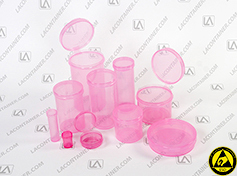 These lids keep out dust and debris along with their electro static dissipative properties. 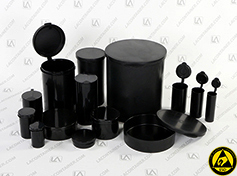 Check out our informational chart below to see which ESD container is right for your products.